Born in Austel, Georgia on November 1, 1944. 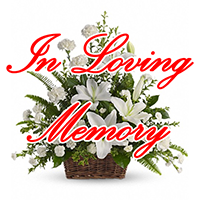 James David Cole, Sr., 74, was born in Austel, GA, and passed away on Wednesday, November 14, 2018, in Lakeland, FL. He was a former manager in the test department at Harris Semiconductor. James is survived by his children, David and Julie Cole, Jr., Tracie and Stuart Crawford; grandchildren, Jourdain, Makenzie, Kaleb, Kendall and Cole. He was predeceased by his wife, Inez.